Oh also, alot of the time on this map, when i highlight my team mates no name appears above them, seems to happen when i am behind stuff thou ? love this map thou its great. That also happens on other maps. The wooden covers on Fools road specifically. Please always report the locations when you find this so we can figure out why it is happening. 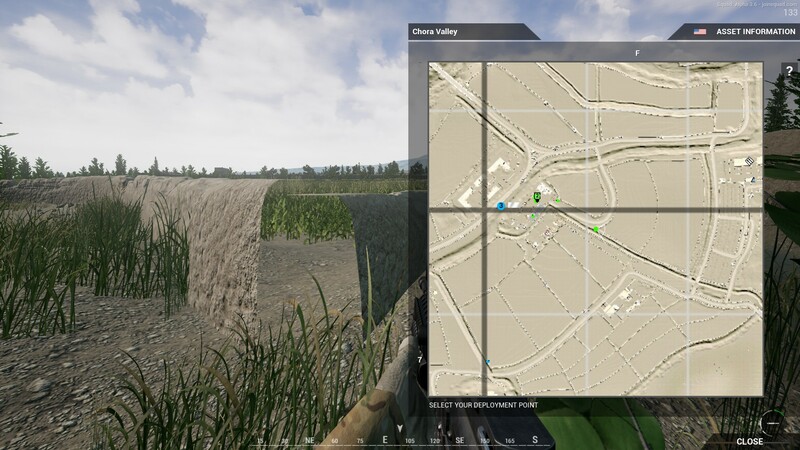 Before the second update on steam for squad (EA) the game ran fine, 45-65fps, but now after this update the game will freeze at points looking in a direction of action or moving the camera to fast (Locking up as others are saying) , it will freeze and skip as well. I never had this problem. Other players are experiencing this as well. updated video drivers, windows 8 gtx 660, i7-2600k 4.7ghz It was happening on chlora new map. It also did it on other maps as well. Ill see if i can get a video up. So I updated my drivers, and it runs better, but still locks up every time I hit my squad chat button. A few other players I was just in a squad with mentioned having the same locking up issue, one of them resolved it by closing some extra windows on his desktop, the other went to update his drivers like myself. Deff better, but still having some issues. 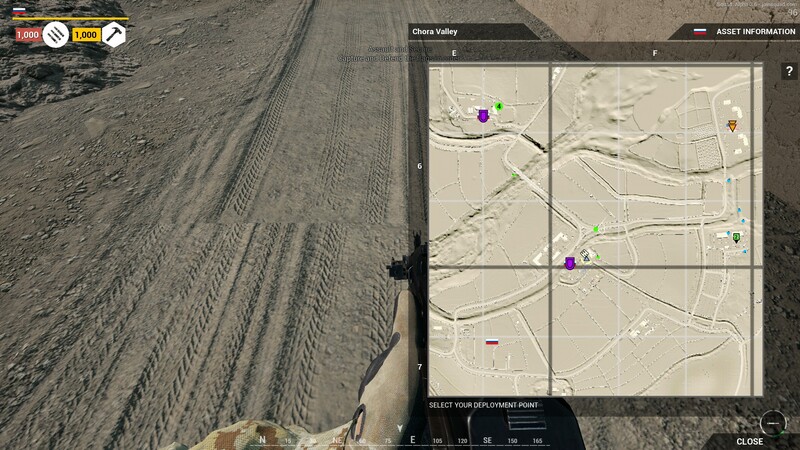 If it's only happening when you use Squad VoIP I'm guessing you have a AMD CPU right? It's an easy fix, just switch you system sounds from 5.1 surround to quadrophonic or stero in your audio controller out of game. Worked for me and like 5 other people that I pointed this out to. If you need further assistance PM me & I'll be happy to help. Bloom seems a little heavy. 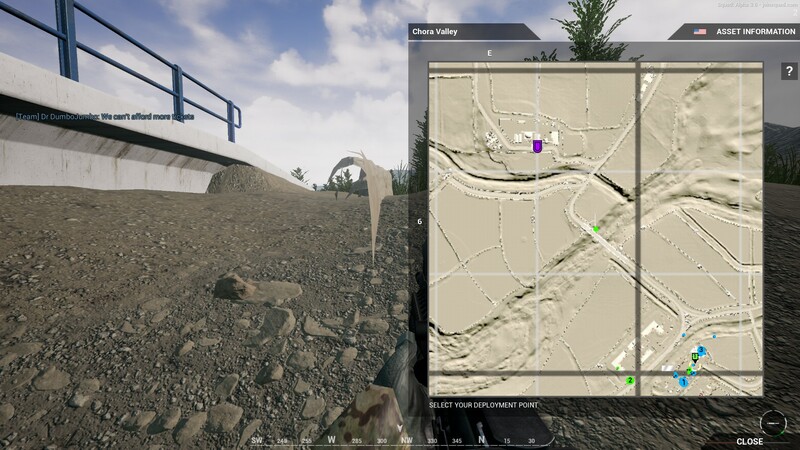 Just spotted a little canal flowing into the main river from southside (located in the eastern part of the map) not flowing correctly, or rather stopping mid air where he should come to a kind of waterfall. 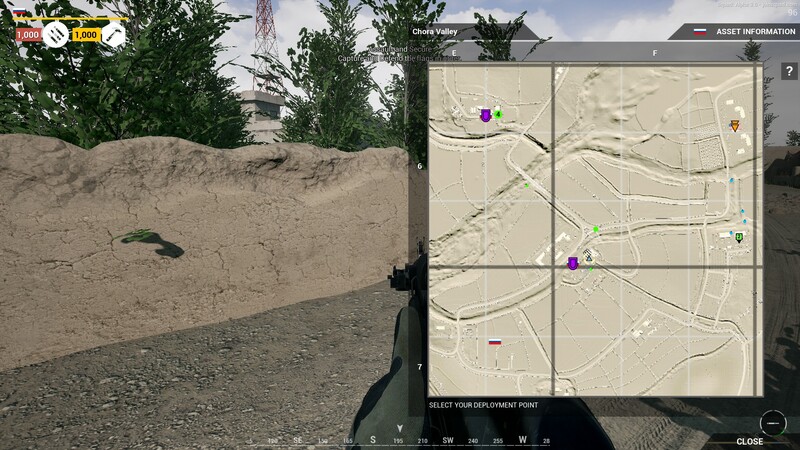 Don't know what it is about this map, but on every other map in squad my game runs flawless. Chora on the other hand, starts to lock my game up as soon as I start looking in other directions, it's game breaking for me on that map. 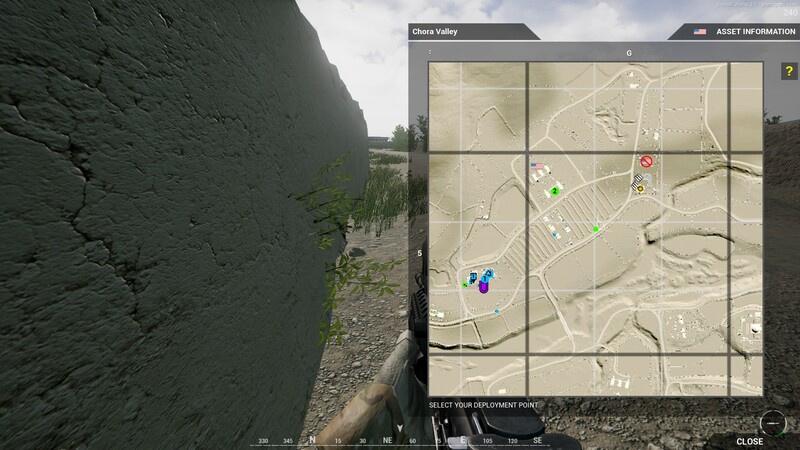 I have that issue on Kohat Valley.. very random every other map is purfick. Curse you and your huge fields! The cornfields are madness! This is not feedback is it? How did you even get to that area? Just noticed some tree clipping and mismatched road texture. Smoke grenades.. sometimes it throws it like its underhand throw even though its not, then next smoke goes a long way. Not had that bug before Only had that on this map so far. *offtopic.. rpg rounds do not go through trees they always get stuck. I too saw this last night on Chora - I captured an image of it as well and will post when I get home. It is a small canal running south of the main river and runs south to north near the southwestern spawn. There is an abrupt end to the creek texture and when looked back on, you see a hard image cutoff/vertical transparent wall to the creek. Frames per second are solid 60 when on a server with low population, but drop to 20-30 when the server has more than approx 15 players on it. Unplayable. This needs to be addressed pretty soon as I know me and a lot of friends are having this problem which means we cannot play. Our specs are high and you will notice other complaints from people with i7's and 980gtx's, so it's a very real and very urgent problem. Strange, as i have a skylake 6700k and only a 780ti, and i get constant 60/70 fps on most servers, maybe it was just that server ? Absolutely beautiful map, plays great so far.